We've got some creative customers finding new and interesting ways to use VocalReferences. Every day I'm amazed at what our users can do with the testimonial tools that we have designed and developed. I have been thinking that sharing our customer's creativity may be a great opportunity for those who are just getting started with websites and testimonials or those who are looking to improve or enhance how they are using testimonials on their websites. This week, I thought I'd start with All My Lashes. They joined the VocalReferences family just last week and already they have put together an interesting testimonial page. 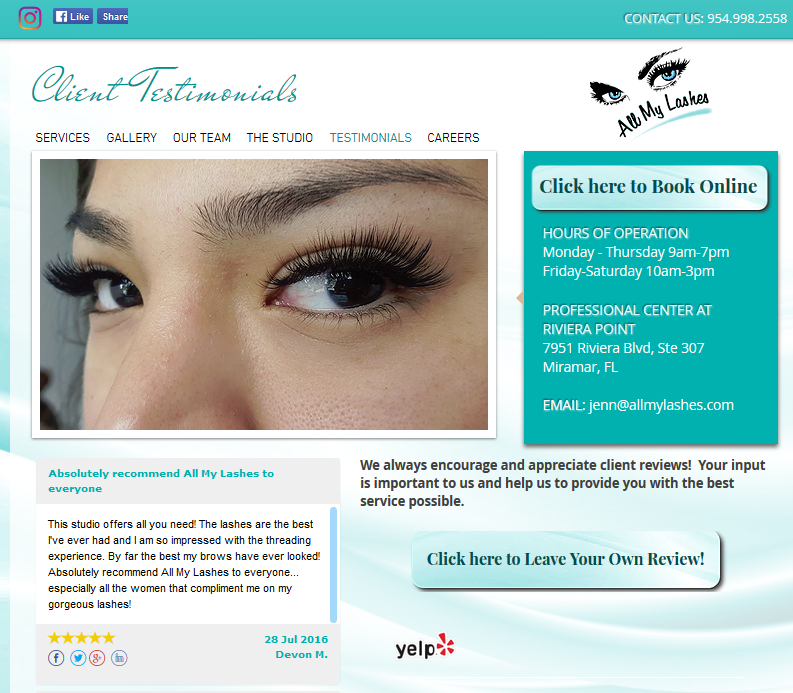 All My Lashes decided on building a testimonial page. They have included testimonials displayed via the VocalReferences app as well as reviews from Yelp. In addition they created a unique button to solicit visitors to submit testimonials. With url links provided as part of the VocalReferences testimonial toolset, you can build any type of button or use any type of graphic and then link it with a VocalReferences URL link. We'd love to hear your feedback so don't hold back and let us know what you think.